National Award winning director Nitin Kakkar is gearing up for his film Mitron which stars Jackky Bhagnani, Kritika Kamra, Pratik Gandhi, Shivam Parekh and Neeraj Sood. After the hilarious teaser, trailer and fun-filled poster, the makers of Mitron have come up with yet another quirky poster the audience featuring the fun squad. 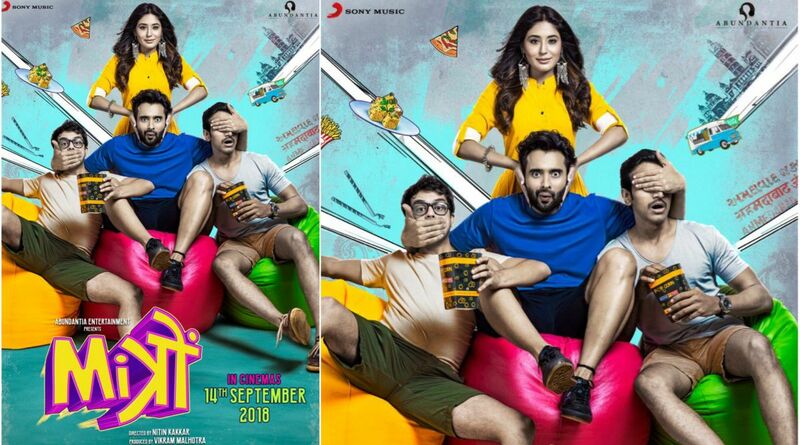 The latest poster showcases the gang Jackky Bhagnani, Pratik Gandhi, Shivam Parekh and Kritika Kamra in a quirky pose. Jackky Bhagnani took to his social media handles and shared the poster. The caption reads: “Naya poster aa gaya hai #Mitron! Scroll karke energy mat waste karo, like karo aur enjoy karo! @Abundantia_Ent @Kritika_Kamra @pratikg80 @shivamparekh @neerajsoodactor @nitinrkakkar @vikramix”. The trailer of Mitron tickled the funny bones of the audience piquing the interests of the audience. The first song ‘This Party Is Over Now‘ further stirred the excitement of the audience with the Yo Yo Honey Singh track. ‘Sawarne Lage’ and the recently released ‘Chalte Chalte’ have further added to the excitement with its soulful lyrics. Mitron, Nitin Kakkar’s next directorial after the critically acclaimed Filmistan, is slated to release on September 14th, 2018.